So you’re a small business owner. There’s not enough hours in the day, and you’re constantly wearing different hats and playing different roles. One minute you are the marketing guy, the next, a cashier. It’s stressful, and you don’t have time to spend on social media. Or do you? First and foremost, I believe social media is extremely important. On a scale of 1-10, I would give it a 9. Contrary to what some might think, this is NOT going away, in fact, it’s a new way of communication. I’ve also seen this overwhelming need to jump on the social media bandwagon, and it doesn’t even matter who ends up managing it. 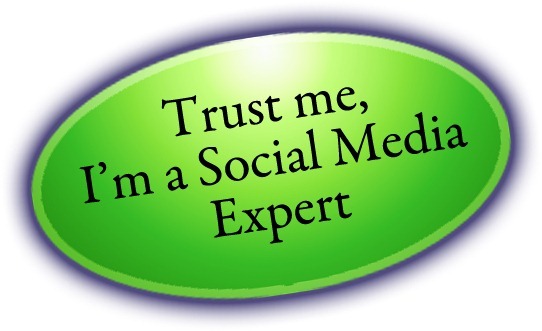 Next, there has been a rise of social media “managers” and “experts” with little or no business acumen. Quite honestly – this is pathetic and you as a small business are paying way too much money to have Facebook “junkies” create scheduled posts. So before all the social media experts get mad, let me explain why small businesses should never outsource social media. Let me first start by saying that there’s many people who are passionate, dedicated, and very successful at managing others social media channels. But let’s get real, you as the owner care the most about your business, not someone else. You are the heart and soul; you are the person that customers see on a daily basis. Your personality and service has created your brand. So why are you having someone else managing what is being said online? I’ve worked with small businesses on their social media presence, but I’ve never managed the daily/weekly posting that should happen on these pages. Why? The truth is, I am not your brand. I am merely someone who you have hired to help you understand the role of social media in your business activities. I will help you with strategy. I will teach you the “dos” and “don’ts”, but I will never manage what you should be doing yourself. Hubspot has created a whitepaper on how to manage your [social media presence](http://www.hubspot.com/social-media-monitoring-in-10-minutes-ebook/ "Social Media Presence") in as little as 10 minutes/day. If you don’t know anything about social media, simply spend an hour of your free time reading up on the various [guides](http://www.briansolis.com/2008/06/essential-guide-to-social-media-free/ "Social Media Guides") on the internet. I promise, Google will answer any question you ask! If you still have questions about social media, spend an hour a week for a month visiting a local [social media breakfast](http://www.socialmediabreakfast.com/ "Social Media Breakfast"). As a small business owner, you have certain experiences on a daily basis that are unique. These should be posted online and used as an opportunity to build your brand. If you have someone else managing your social media, they will not see these events, leading to missed opportunities. Let’s say you were the person to send an email (or call) your social media “expert” to make these off-the-cuff posts. In reality, you just spent as much time reaching out, as you would creating a post! Social media experts will throw a lot of numbers and statistics at you, with the intention to earn your business by explaining something you are clueless about. For example, they will say, “I can increase your number of likes.” I’ve seen many of these same people buying “likes” through shady third-party dealers. If you have 1000 fans, and 750 of them are located in India, is that really helping your business in Boston, MA? **Instant Tipoff:** If you hire someone to increase the # of likes to your page, and there’s **massive** growth overnight, I implore you to take your business elsewhere. This part is the real kicker. I truly believe there is a role for social media consultants. These people are hired to oversee the strategic development of your social media efforts. They guide you as you navigate your way, teaching you how to post, increase engagement, and get off on the right foot. These contracts will typically last anywhere from a few weeks to a month. As a small business owner, this is a good idea. At the end of the contract, you should understand the basics, and be able to manage your own brand online. If you are a larger business, management may be a good option, especially if people are interacting with your page on an hourly basis. From my perspective, avoid reoccurring bills at all costs. This is not a rant against social media experts, but instead my goal is to help small business owners realize that they can “do” social media, without a huge investment of money or time. Business Owner? How are you managing your social media presence? By yourself? Or are you hiring someone? Let me know in the comments below.